Do you own a Keogh retirement plan and are wondering how to make the most of it? Do you want to know if (and how) you can invest in recession-proof physical gold bullion (or any other precious metal) through this account? This page will have all your answers. Established in 1962 thanks to the efforts of Representative Eugene Keogh, a ‘Keogh Plan’ is a tax-advantaged pension plan designed for self-employed workers or unincorporated business entities. Not all self-employed persons can establish a Keogh Plan. Independent contractors, for instance, cannot open a Keogh. Rather, they are only available to self-employed individuals that own an unincorporated business. Keogh Plans come in both defined contribution and defined benefit varieties. The defined contribution Keogh is set up as either a profit-sharing or a money-purchase plan. The defined benefit Keogh operates much like a traditional pension plan, with the caveat that it is self-funded. Keogh Plans are notorious for complicated paperwork, but remain a viable option for high earners who are self-employed. Establishing a Keogh Plan does not inhibit your ability to contribute to an IRA. If you are self-employed and have a Keogh, you are considered an employee for rollover purposes. This means that you are allowed to rollover part or all of eligible rollover distributions into a self-directed IRA. This is considered a tax-free rollover between like accounts. In other words, a Keogh Plan distribution that is subsequently rolled into a self-directed IRA is not counted as income. However, if the rollover distribution is paid directly to an IRA holder, typical withholding limits (20%) apply. You can avoid this requirement by instead choosing to execute a direct rollover. Here is a table that illustrates how a Keogh plan compares to other retirement vehicles. In short, this means that you cannot invest in physical gold bullion (or any other precious metal) through a Keogh Plan. The simplest way to invest in gold through a Keogh is to purchase stocks in gold mining companies, or to purchase a mutual fund that includes mining company stocks. This is referred to as buying “paper gold.” There are also gold ETFs (GLD) and mining ETFs, which provide indirect access to investing. 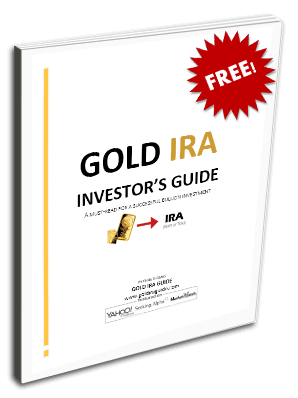 The advantage of rolling over your Keogh Plan assets into a self-directed IRA is that you are able to control the designation of your retirement funds and open up new tax-free investments – like precious metals. In an employer-funded retirement plan, such as a Keogh, your investment options are more limited than with a precious metals IRA. Additionally, Keogh plans require the account owner to establish a vesting schedule, which means that you are only entitled to your funds after a certain length of time has passed. In terms of flexibility, the IRA wins hands down. The other major drawback to Keogh plans is that they are more complex to maintain than a rollover IRA will be, and therefore charge higher fees.